So you’re hashing-it-out with your buddy, who seems to have the upper hand and is poised to win the argument, but then you flatly state, “most illogical,” refute the tenets of his argument with ease, and then counter with your own logical brilliance, which proves beyond reproach and not subject to further dispute. Well, it doesn’t have to be. 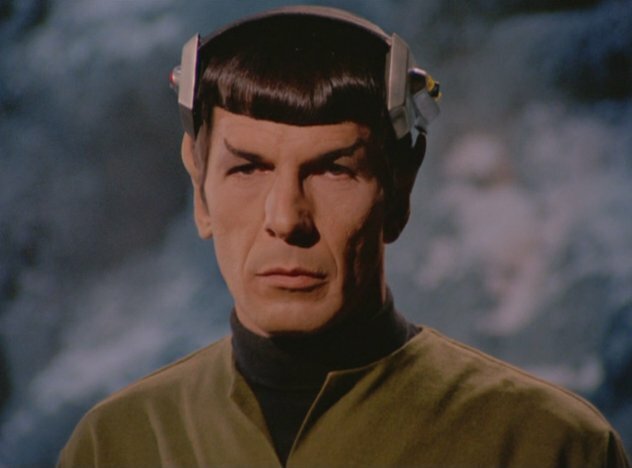 All you have to do is be like Spock, and make sure that your side of the argument is logically structured…. OK, so that may prove to be a a stretch, but at the least you should be able to refute any fallacies within your opponent’s argument, which in turn should makes your position in the argument that much stronger. And guess what, fallacies tend to run rampant within context of most everyone (especially politicians) trying to make a case. The key is in being able to A) recognize a fallacy when utilized by your sparring partner, and B) then being able to swiftly articulate how the fallacy renders their side of the argument moot. And, you didn’t hear it from me, but…familiarity with fallacies will allow you to utilize them when trying to bolster your own piss-poor excuse for an argument. A fallacy is the use of “invalid” or otherwise “faulty reasoning in the construction of an argument. While some fallacies are committed intentionally in order to manipulate or deceive, many are construed by accident due to carelessness or ignorance. Fallacies were originally identified by the ancient Greek philosophers, who basically spent their time drinking Greek wine, chasing peplos and hashing out every topic conceivable, from “what is the meaning of life?” to “does the soul reside in the heart or the mind?” to “what would be the best way to get Aphrodite into bed.” While today we at Hash-It-Out! are arguing about who would win the match up between Superman and Batman, some 2,400 years ago Aristotle and his buddies were undoubtedly arguing about who would win the matchup between Ares and Poseidon. Fallacies can either be “formal” or informal. An argument based on a formal fallacy is always considered wrong, and can be proved so mathematically, while an informal fallacy may have a valid logical form, but may render the argument unsound due to a false premise. While there are less than two dozen recognized formal fallacies, there are more than 50 informal fallacies and numerous sub-variations of these fallacies. If it rains my car will get wet. This represents a logical fallacy because it does not account for other possibilities. While the conclusion is an all likelihood true, something else—say, the neighborhood brat with a water balloon—could have caused the car to get wet. Red herring—irrelevant subject matter inserted into the argument to draw attention away from the true subject of the argument. The straw man—basing an argument on a misrepresentation of an opponent’s position. Ad hominem (to the man)—attacking the opponent instead of the argument. Appeal to authority—asserting something as true due to the position or authority of the person who asserted it. Argument from ignorance—Assuming a truth because it has not been or cannot be proven false, or vice versa. Begging the question—providing the conclusion of an argument as the premise. Appeal to emotion—argument through a manipulation of emotions, rather than through valid reasoning (this one’s gotta sound quite familiar to all of you guys with girlfriends and wives—Doh! I’m gonna catch it from the girls for this note!). Argumentum verbosium (proof by verbosity)—one of my personal favorites, in which the speaker utilizes so much jargon and obscure information that the audience is forced to accept the argument in lieu of admitting ignorance or lack of understanding. So, know that you have a basic understanding about fallacies and logical reasoning, you might want to study up some more before you try to be like Mister Spock. You can check out this website—Thoushaltnotcommitlogicalfallacies.com—for a more detailed primer on fallacies, or just Google “fallacy” to see what you come up with. —Originally published March 22 in Hash It Out! ← Are You Really a Millennial?